I went to your website, but only found steering wheels. I'm surprised you didn't feature the AMG brake upgrade. Those of us who would enjoy having the upgrade would find it easier to access if it were on your website. Also, will this upgrade fit the W203? I have a 2004, C230 Sport Sedan with a 6-speed that I'd love to put those brakes on. Any chance they will fit? I am interested and both my C300s are 4Matic. Have you installed it on a 4Matic car as yet or still waiting for a test fit car? Do you have AMG sets that will fit the 2012 E550C? Are the sets compatible with all of the electronics on the vehicle? Feel free to PM or email me. Are these AMG calipers the same size as the Brembo Big brake kit calipers? What are the sizes of these calipers and brake discs? It also looks like your got some Brembo components there, what are those? 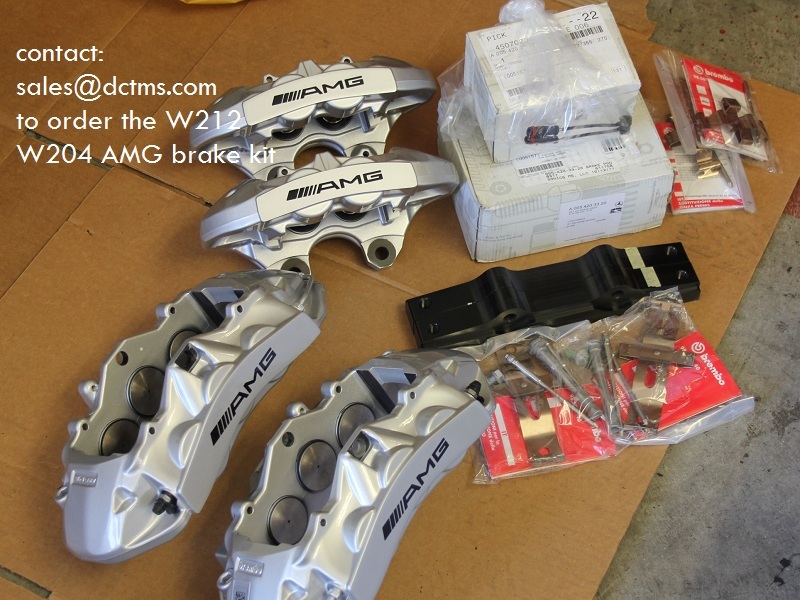 Can these brake calipers clear the stock 18in sport rims for the C W204? I am referring to specifically these rims below. Last edited by albert101; 02-20-2012 at 12:56 PM. Please pm me price for the full kit, for my 08 c300 sport, shipped to Pueblo, Colorado 81003. Correct me if I'm wrong but you offer the calipers in red? $3600 unless you want custom colors, that's $600 more. It's on the 1st or 2nd page of the thread. funny, i was just quoted $100 more than this. Oh well. Inflation I guess. That is $3,600 PLUS shipping. Was yours quoted $3,700 shipped or more for shipping? Mercedes just adjusted their parts price end of last year! We price our products based on our cost and inventory. Will this fit onto W207 E350 Coupe? Hi, please pm me the price. And shipping to Singapore , is it ok?? Please pm me price for front kit only.